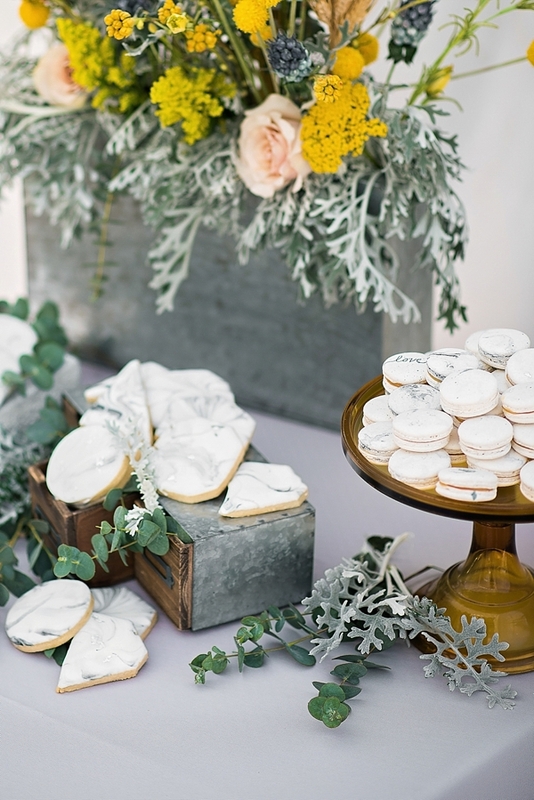 The hard-edged concrete material isn't always the first thing one thinks of when it comes to weddings, but that unexpected element is exactly what sets apart wedding design, and it sure is gorgeous when incorporated well like this industrial chic inspiration! 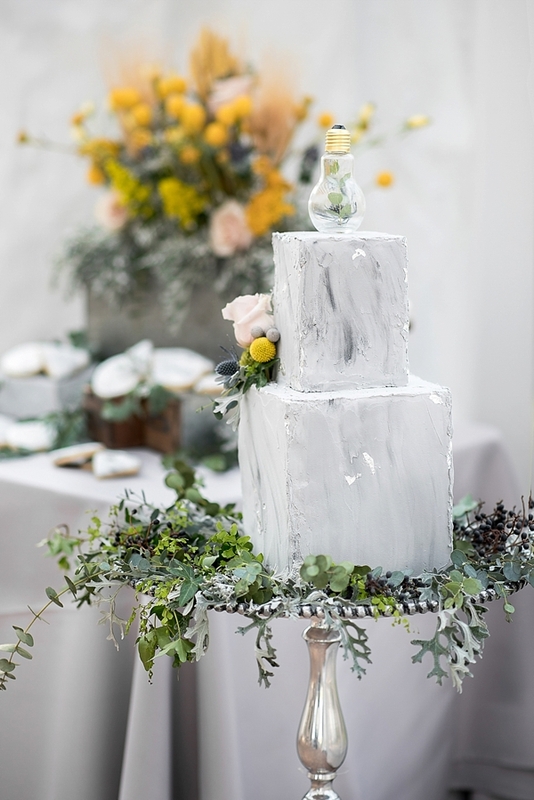 From literal concrete blocks to galvanized chargers to glass light bulbs, we're sharing a modern feast for the eyes for those who love a bit of visual contradiction in their wedding style. 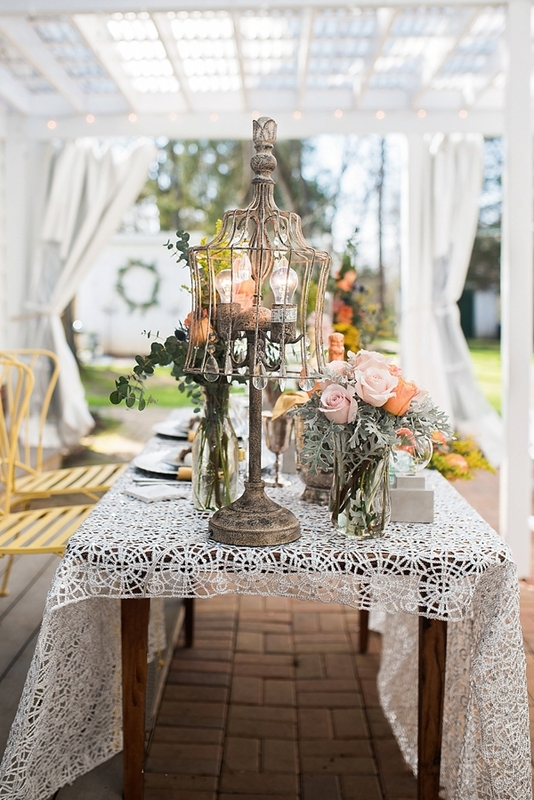 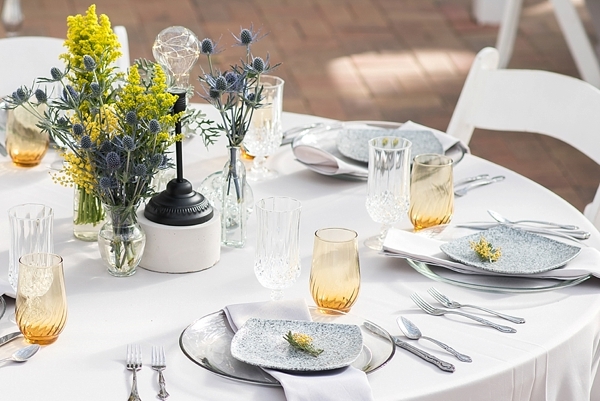 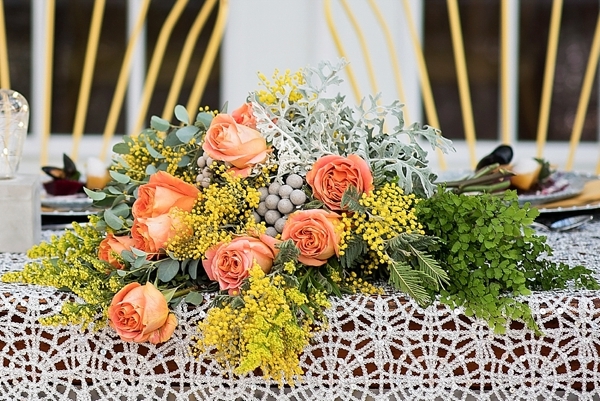 Dripping eucalyptus, silver brunia, dusty miller, and ferns are perfect contemporary greenery options to the geometric lines of caged vintage lighting and seating while the canary yellow color palette boldly pops against the cool gray of plateware and linens. 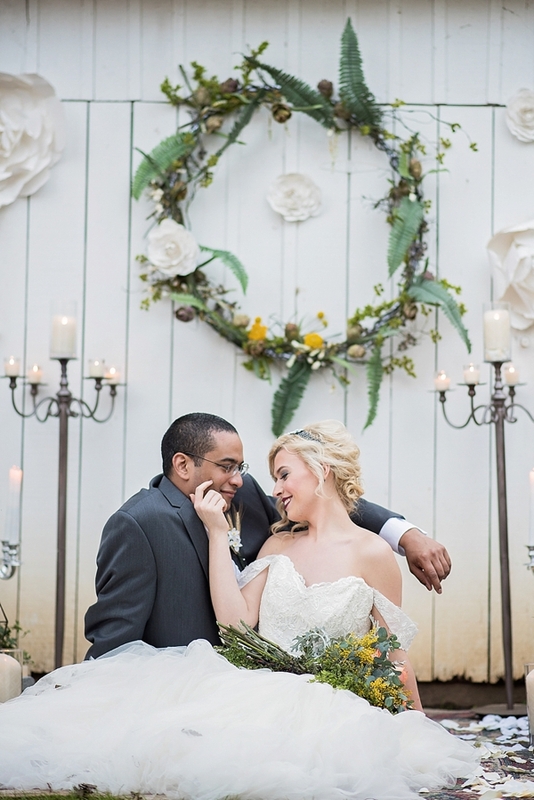 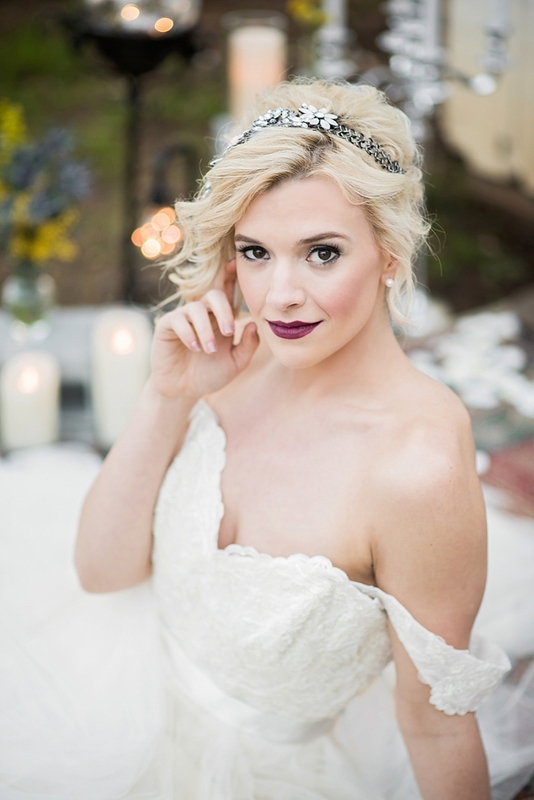 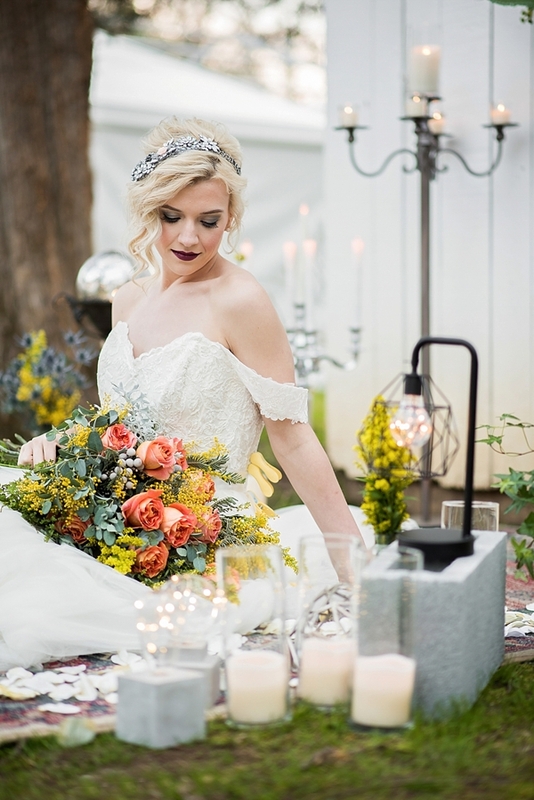 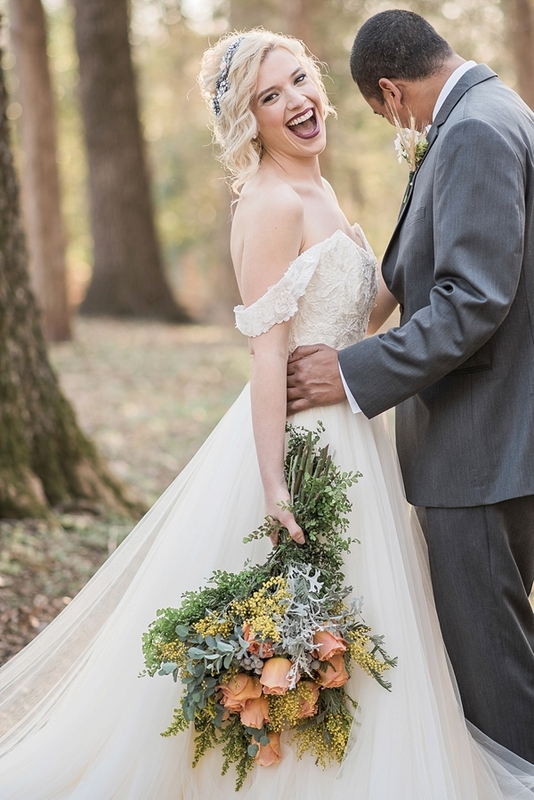 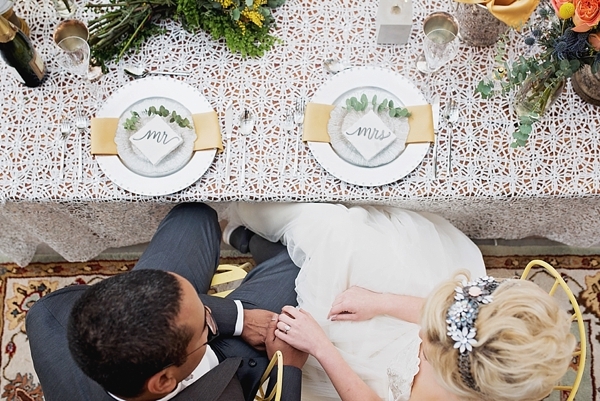 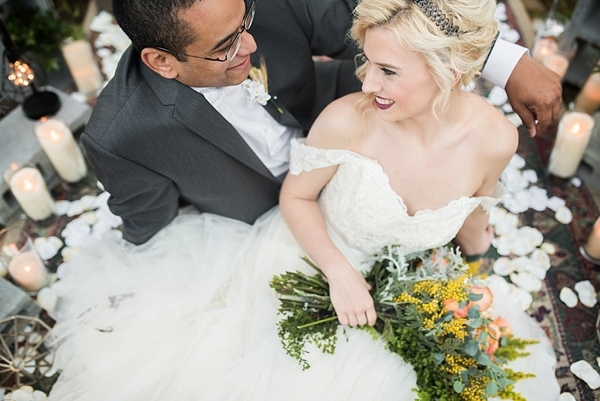 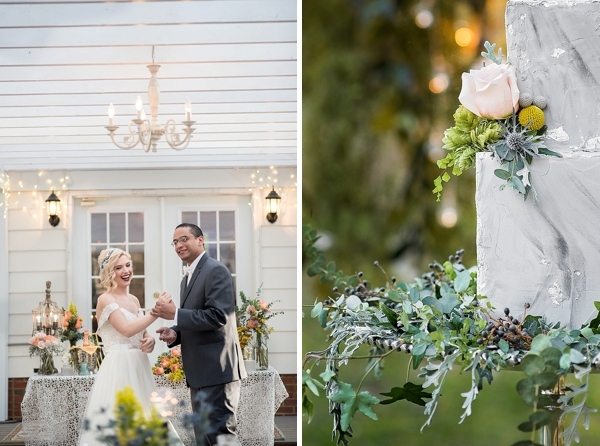 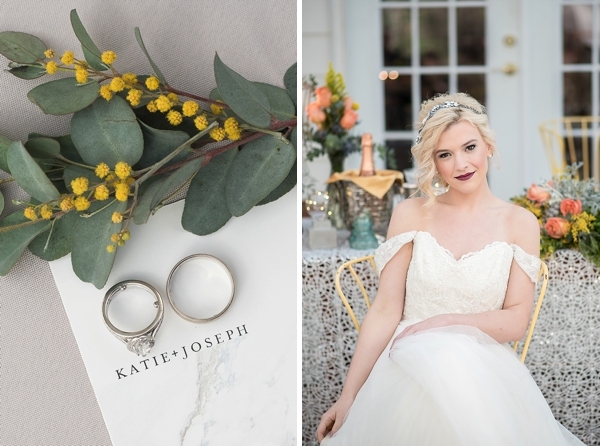 Captured by Lindsey Lyons Photography and orchestrated by a jam-packed creative team of wedding pros, every detail was thoughtfully curated to inspire couples with an industrial concept mashup with a classic wedding venue. 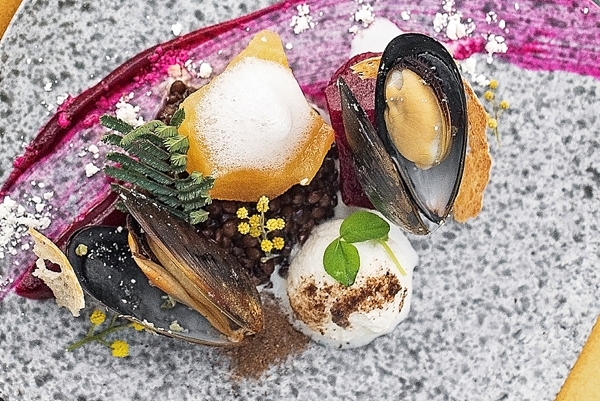 Even the modern gourmet food plating of mussels coordinates with the marble and stone aesthetic! 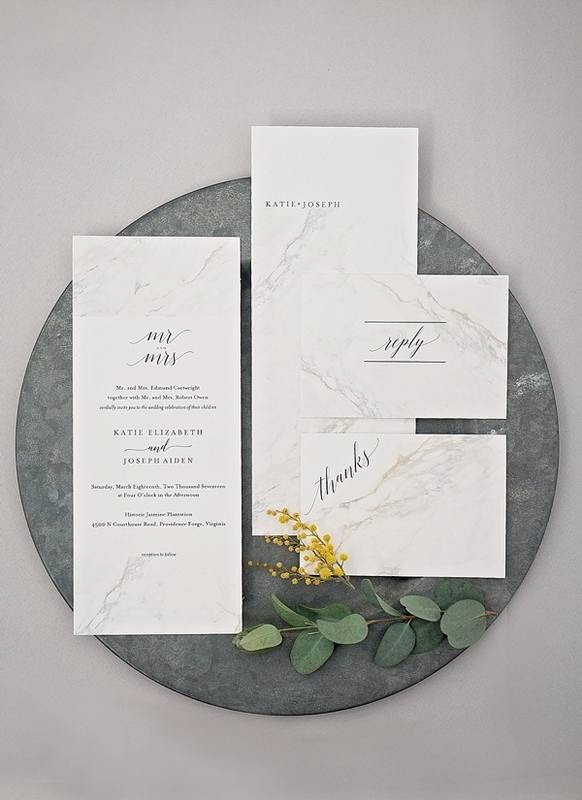 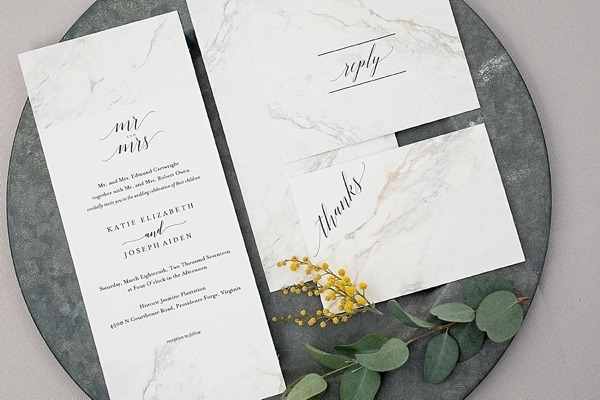 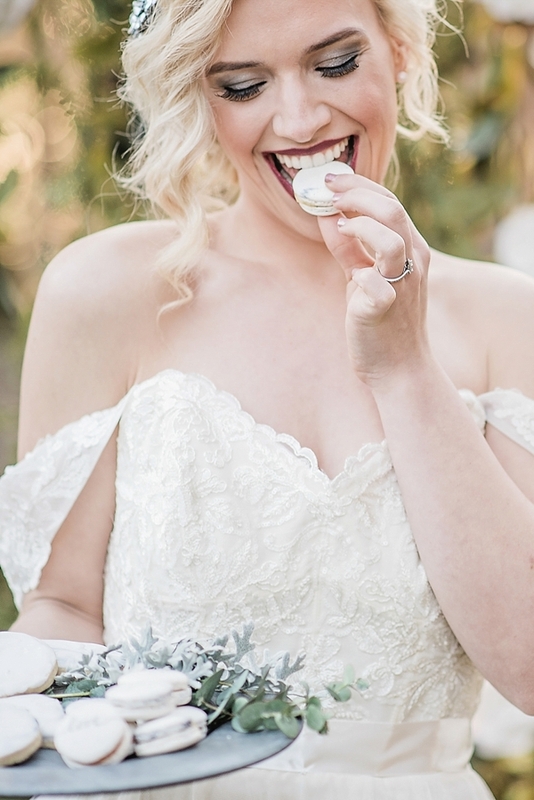 It's no secret that we're obsessed with all things marble, so the delicately swirled white with streaks of black macarons and the marbleized wedding invitation suite especially made us majorly swoon! 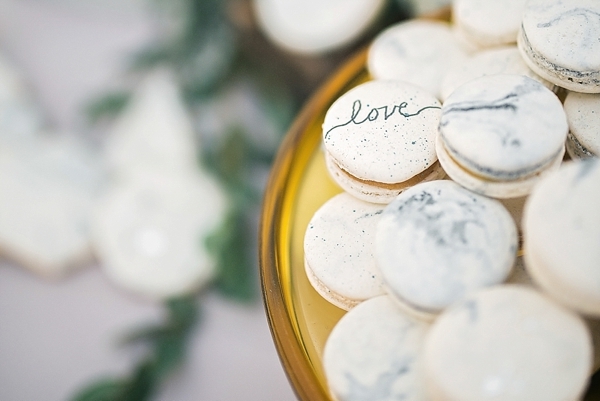 So get your pinning fingers ready because there are oodles of loveliness for you to fall in love with!